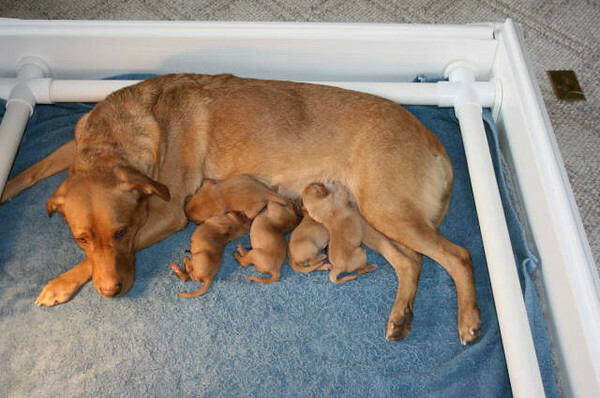 Beginning at one day old to seven days old, watch how the pups change in week one! Some of the photos are labeled with which puppy is which. Some of the photos also show their coloring very well.